Manchester United secured their first clean sheet this campaign and were able to recover from two consecutive defeats to win 2-0 at Burnley. The victory wasn’t easy coming, as United, who had a brilliant first-half courtesy of two well-placed goals from Romelu Lukaku, simply couldn’t kill the game. First Paul Pogba missed a penalty, and that was followed by substitute Marcus Rashford picking up a red card. Marouane Fellaini’s inclusion in the starting lineup ahead of Fred must have raised some eyebrows prior to the kick-off. However, the Belgian’s brilliance for the entirety of the ninety minutes must have surely removed all doubts whatsoever. This is precisely why Jose Mourinho was so adamant that the club kept hold of the midfielder, and why some critics may be eating their hats now. Matic and Fellaini being deployed as holding midfielders gave immense attacking freedom to Paul Pogba, and the effect was out there for all to see, even in defensive stability. Is this the system that Mourinho will stick to for rest of the season, and if yes, what does this mean for the new Brazilian? 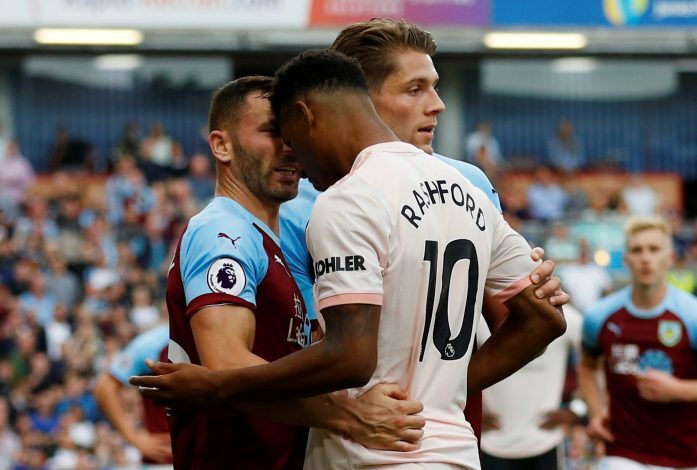 While Burnley were quick to try and pressurize United after Rashford’s red card, they will be thoroughly disappointed with the loss. This comes at the back of their recent ousting from possible Europa League games as well, as their playoffs fate came to an end earlier this week. As a result, the side that found itself with a lot of expectations may quickly be weighed down by it. Only recently having established themselves as a name to be reckoned with, particularly after last season’s league performance, the Clarets must not lose heart after this result. United’s attack were finally a source of delight, as the trio of Lingard, Lukaku, and Sanchez gelled quite well. Both of Lukaku’s goals were a result of their link-up, with the first being a direct assist from Sanchez while the second involved a missed Lingard chance being capitalized upon brilliantly by the Belgian striker. For a team that often seems lacking for world-class talent, spectacles like these do bode well for their future. While Lukaku is undoubtedly the man of the match, it is the attacking trident that will be the cause of Mourinho’s massive sigh of relief. Shaw has been repeatedly hailed as United’s finest performer so far this season. With a dynamic pace to his runs, his attacking tendencies have provided precisely what the Red Devils have seemed to lack from their left-backs over the past seasons. The first goal was a direct result of the shared technique between Valencia and Shaw, whose long ball opened up the eventual link-up. 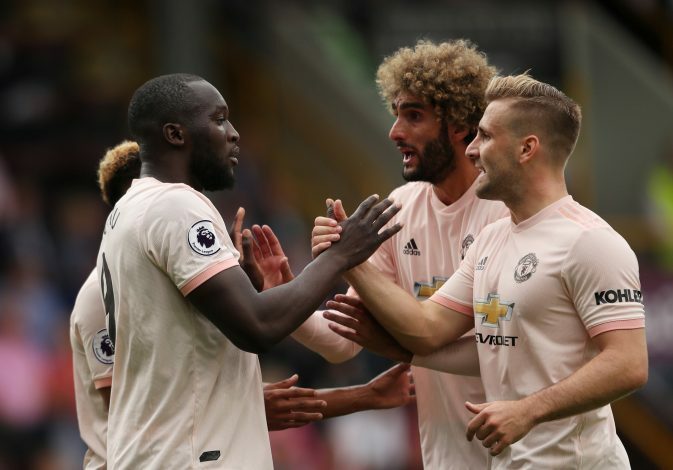 The second one was aptly set-up by Shaw yet again, and if United continue with such performances by their full-backs, then something special certainly awaits. Interestingly, all of this is happening even without the debut of their promising signing Diogo Dalot at right-back. This was a welcome win for Manchester United and the promising performance by the entire team will be a massive boost of confidence. While Rashford’s suspension and Pogba’s penalty miss will dampen their spirits ever so slightly, things do look up for the Red Devils. At the same time, it will be interesting to see if fans will stick to their opinion of Ed Woodward, with a plane carrying a banner during the game, calling the once hallowed transfer specialist to be a ‘Specialist in failure’. Will the winter transfer see a change in policy, and will this victory suffice in placing the Mancunian giants back on track for the title?